Missoni candles, scents and fragrance list. 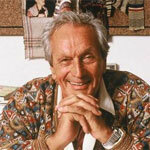 Missoni, the Italian fashion house known for its brightly colored knits in geometric and zigzag patterns, was founded in 1953 by Ottavio Missoni and his wife Rosita. In March 2013 Missoni teamed up with Ron Robinson, LA-based perfumer of Apothia scent fame, to create the Missoni Home by Apothia candle collection.